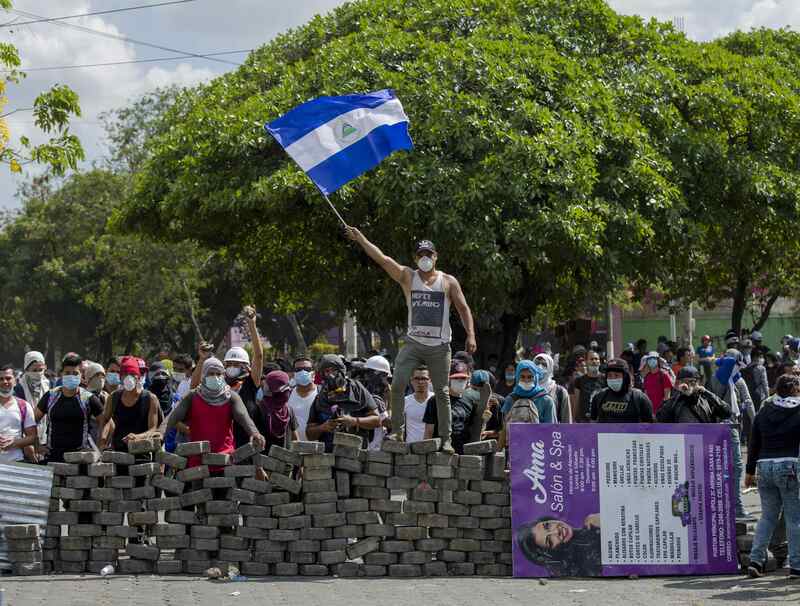 Last month, Nicaragua lived through a period of intense upheaval. Students led a resistance movement against the government of President Daniel Ortega, the former Sandinista leader, demanding more democracy, justice and human rights. The Nicaraguan church has stood alongside the young demonstrators since the beginning of the crisis and, at the request of the government, will try to mediate a way out. The question remains whether that is possible. Since April 19, 63 Nicaraguans have lost their lives in what started as a peaceful demonstration against a government-proposed social security reform, according to the Nicaraguan Center for Human Rights. The victims include a journalist and two policemen, but the majority of fatalities have occurred among college students. Anti-riot police and paramilitary groups had tried to clamp down the marches, but their efforts failed as the student movement triggered mass support from Nicaraguan society. With few options, the government eventually granted some of the protesters’ demands and invited the church to the negotiating table. “The Catholic Church has called for a dialogue between the political, social and economic factions for years now,” says the Rev. Boanerges Carballo, “because the church has the experience that confrontation never was the solution.” Father Carballo is the archdiocese’s episcopal vicar and pastor of the Santo Domingo de Guzmán Parish en Las Sierritas. He was personally caught in the middle of a police shootout at the Polytechnic University of Nicaragua on Sunday evening, April 22. Nicaraguans of all sectors and generations have joined the protest, now loosely organized as the 19th of April Student Movement, in solidarity with the students and retirees. Yet, sectors of society are now asking for an institutional—and for some, governmental—overhaul. The dialogue, for many students, is a way to hold the government accountable for the downward spiral of violence, which they blame on Mr. Ortega and his wife and Nicaragua’s vice-president, Rosario Murillo. “María,” speaking under the condition of anonymity, has witnessed the brutality of the government’s response to protests against its social security reform plans first hand. The 22-year-old law student marched with other demonstrators when she saw the bullets fly and the wounded lie on the ground. She tried to help the wounded with a group of friends from her parish. While she was organizing supplies and medicine at a neighbor’s house, youth from a paramilitary “mob” came to her and pretended to be hurt. “When we welcomed them in to treat them, the police barged in, stole all our supplies and sprayed tear gas. It was horrible,” she recalls. Students are calling for an independent truth commission to bring justice to the protests’ victims and the renewal of democratic institutions like the Supreme Court and the Electoral Court. According to Mr. Uriarte, they are neither “left” nor “right,” nonideological and not affiliated with a political party in Nicaragua. For Mr. Uriarte, either the dialogue will be inclusive—and will lead to structural changes in Nicaragua’s institutions—or it will not and will fail. “The government’s strategy may be to have a superficial dialogue that will move around some political chess pieces, and that’s it,” he says. “My impression is that there will be no real dialogue or that it will only happen between the government and businesses, which has been Ortega’s successful model in the past years,” says Dr. José Miguel Cruz, the director of research at the Latin American and Caribbean Center at Florida International University. But Mr. Uriarte remains optimistic. “The positive thing is that the people lost the fear of going to the streets after years of silencing and censorship,” he says. Commenting on rumors that the student movement seeks the expulsion of the presidential couple, Mr. Uriarte believes that most of the young people who agreed to be part of the dialogue do not want to oust the government just yet. Though “there are traditional factions that formed in the 1980s and 1990s who are trying to politicize what’s happening and kick Ortega out,” he acknowledges. The impoverished political landscape is a result of Mr. Ortega’s increasing control over opponents, independent media and elections. In 2014, President Ortega, along with the Assembly and Supreme Court, reformed the Constitution to allow him to run and win his third presidential mandate, leaving Nicaraguans increasingly apathetic at the ballot box. Instead of building walls, the U.S. should revisit good neighborism. However, the church, and in particular Auxiliary Bishop Silvio Baéz of Managua, who has repeatedly encouraged the student movement, has become a source of hope for Nicaraguan young people. “The church represents us,” María says. “We want them to be at the dialogue table.” For Father Carballo, the church helps students focus their social proposals and overcome the difficulties of a long-term coordination of efforts. “Last Sunday was Good Shepherd Sunday; it was like a sign that God is with us because it encouraged us, as priests, to accompany the people with a shepherd’s spirit,” Father Carballo explains. The “Peace and Justice” rally called by the church drew tens of thousands of Nicaraguans into Managua who departed at its end without incident. Two days later, another massive rally in Managua, this time called by the Sandinistas in support of the Ortega government, also convened and dispersed peacefully—signs, perhaps, that after weeks of violence exhausted antagonists may be ready now to talk about Nicaragua’s future. Melissa Vida writes about Central America.